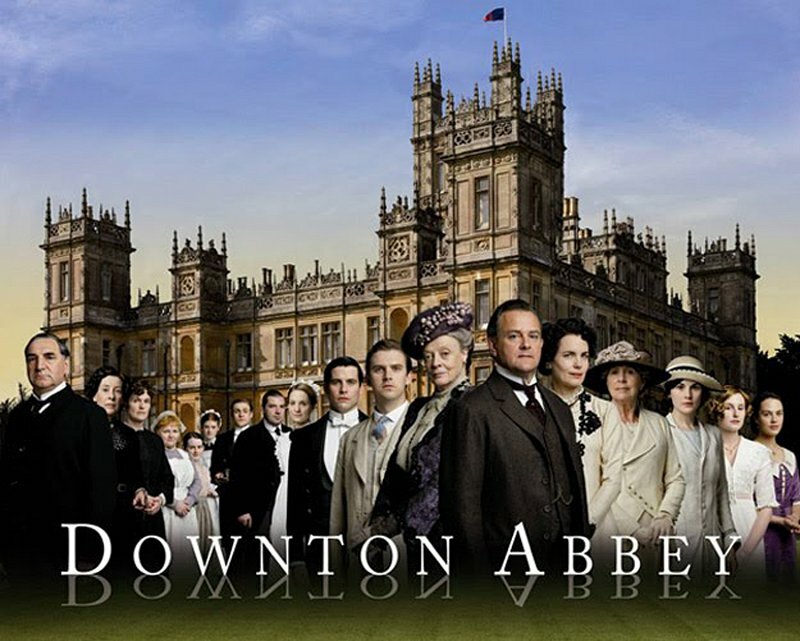 Yes, I'm one of the thousands of people who are hooked on "Downton Abbey." When I get hooked on any sort of film, my obsession tends to go beyond the story and its characters. I almost always go searching into the time period in which the film or program takes place, and since I'm a voracious reader, my search into the time period always leads me to books. Non-fiction books, yes, but I love dabbling in fiction taking place in the same era, too. I thought it would be interesting to take a look at a few mystery series that take place during roughly the same time as my new favorite television program. Some are series that I've already read and love, but a couple are new-to-me that have come highly recommended, and I can't wait to try them! Are you the same way with your non-book obsessions? Do you tend to link them to books the same way I do? I hope so because I'm looking forward to getting your input on my choices, and I'm hoping you'll make a recommendation or two of your own. 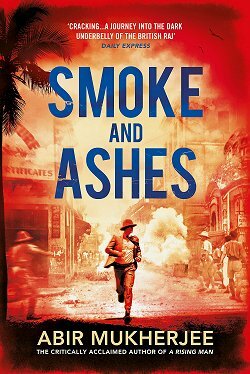 The very first mystery series I thought of was Jacqueline Winspear's Maisie Dobbs series. Maisie comes from humble beginnings and became a maid on a big estate in the south of England. The owners of the estate recognized how bright and hard-working Maisie was and saw to it that she had a first-rate education. Maisie put everything on hold and became a nurse in France throughout World War I. Afterwards, she went to London where she began her own business as a private detective. It's a joy to begin this series at the very beginning to see how World War I affected the entire country, and to see how Maisie's life and character develops. Maisie is very much the psychological detective-- a keen observer of those around her, and a person who loves to make connections between the facts and people's behavior. The tenth Maisie Dobbs novel, Leaving Everything Most Loved, will be out at the end of March. I can't wait to read it! The mother-son writing team known as Charles Todd writes the next two series I thought of. Ian Rutledge left a brilliant career at Scotland Yard to fight in World War I. In 1919, he came home and resumed his police work, but he has a very heavy burden to bear: he is still suffering from shell shock, and he has a boss who would love to give him the boot at the faintest whiff of weakness or failure. A Test of Wills is the first book in this excellent series about a man who fights a daily battle for justice... and against his own demons. A Duty to the Dead introduces us all to Bess Crawford, a nurse in France during World War I. Sometimes she comes across crimes simply by making a promise to a dying soldier and then going home on leave to carry that promise out. She's smart, she's brave, and she's so very conscientious. Yes, World War I was a pivotal event. It's when the entire world's opinion of government, religion, and so many other things began to change, to become distrustful and cynical. Books-- and programs like "Downton Abbey"-- are excellent vehicles for showing us how this all started. Right on the heels of Jacqueline Winspear and Charles Todd came Suzanne Arruda. Mark of the Lion is the first book in her wonderful Jade del Cameron series, set in 1920s Kenya. Jade grew up on a ranch in the southwestern United States and became an ambulance driver during World War I. She's an excellent shot, can repair just about any vehicle that refuses to run, and she's brave-- sometimes to the point of being foolhardy. Oh... she also has a cheetah as a companion, which means a lot to a critter lover like me. 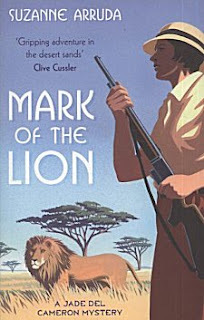 For the first two books, I thought of the series as a sort of serial cliffhanger: lots of action, lots of fun, but Arruda's research into the time period and into the history of Kenya rapidly added so much depth to the books that I refused to miss even one of the intrepid photojournalist's adventures. Cocaine Blues introduced me to an adventurous modern (1920s) woman of independent means named Phryne (FRY-nee) Fisher in Australia. Kerry Greenwood's series is light and fun with a main character who never fails to surprise, but the books also tackle some tough issues of the day. Of the series I've recommended so far, this is the one with the most humor and the most dazzle. Phryne has money, and she believes in spending it well. She also believes in enjoying herself, but she's most definitely not a bubble-headed socialite! Interesting... these mystery series that take place at roughly the same time as "Downton Abbey" take us from England to Africa to Australia. Not bad, eh? All righty then! The series I've just talked about are all ones that I've read, and I strongly recommend each and every one to you. However, there are two series that I've found that also take place within the same time frame, and I definitely want to try them both. 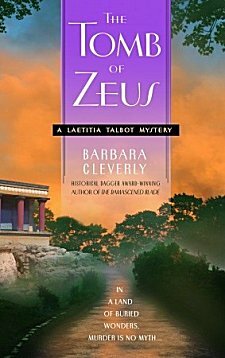 I've already read and enjoyed Barbara Cleverly's Joe Sandilands series that is set in post-World War I India, but it's her Leatitia Talbot series that begins with The Tomb of Zeus that I've got my eye on. Leatitia Talbot is an archaeologist based in post-World War I France. An occupation that fascinates me combined with a time period I can't get enough of? I've got to sample this series! By the way, have you noticed how the 1910s - 1920s era is the true springboard for strong women appearing in all sorts of occupations that were formerly the sole dominion of men? Yes, there have always been strong women, but when World War I stripped so many countries of almost all their working men, women had to step in and get those jobs done. Once that door was opened, there was no going back. I have heard so much good about Laurie R. King's Mary Russell series that I simply have to make the time to read my copy of The Beekeeper's Apprentice that I have sitting on the shelf. Mary Russell is the pupil and then the wife of the one and only Sherlock Holmes. That one line in and of itself makes me itch to read the book! With the 200th anniversary of the publishing of Jane Austen's Pride and Prejudice, many readers have wondered how Austen would react if she knew how popular her book is now. I think that would also hold true for Sherlock Holmes' creator, Sir Arthur Conan Doyle. 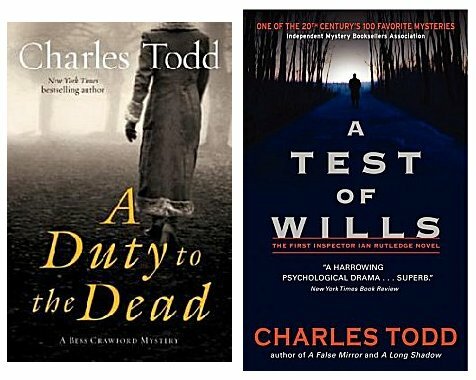 All the books, television series, and films devoted to this one peculiar detective. Did Doyle have any earthly clue what sort of Pandora's box he'd opened? 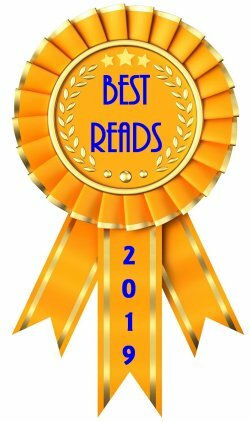 These are my recommendations for those of you who'd like to read a few mysteries to help give you a little "world of 'Downton Abbey'" fix. Have you read any of them? Which ones-- and did you like them? More importantly... can you recommend any mysteries that I haven't listed? Any true bookaholic can never have too many recommendations! Just added some of these to my tbr pile. Thanks so much!! I've tried Maisie Dobbs but for some reason can't get on with the books. I do love Mary Russell though. And I have the first Charles Todd book on my library pile at the moment. Daisy Dalrymple is set at this time too. Daisy is an upper class, titled girl, earning her own living as a journalist, who marries a police inspector. Delightful series. I've heard of the Dalrymple series, so it's great to read your take on it. 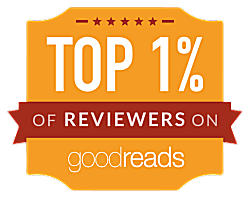 I'll probably head on over to your blog to read a review or two. Thanks! Cathy - What a great idea for a post! There really are some great novels and series out there that focus on this time in history and you've mentioned a few of my favourites (Winspear, 'Todd,' and Greenwood). I have to agree with Cath about the Daisy Dalrymple series. I was going to mention Daisy Dalrymple but Cath got there first! Another I really enjoy, and set in the 1920s, is Catriona McPherson's Dandy Gilver series, which starts with After the Armistice Ball. Dandy's bored after the war because her husband is always out huntin' and fishin' or seeing - seein'? - to the estate, but a friend asks her to help solve a crime. The author's research is superb, but they are great fun too. I'd heard about Dandy Gilver, too, so I certainly appreciate the recommendation. Thanks! I love Maisie Dobbs and Bess Crawford. I couldn't get into the Russell book I tried, but I want to love them, so I'll try again. 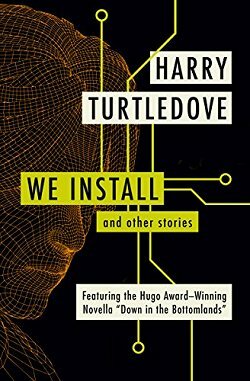 A series that I hadn't heard of! Thanks so much for the information; I'll definitely have to go take a look! The Amelia Peabody series by Elizabeth Peters is set 1884-1920+. She is an English archeologist in Egypt. Fascinating series!! 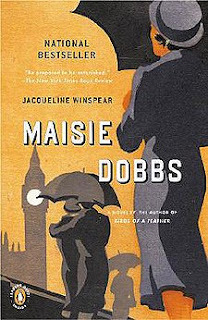 I love Maisie Dobbs - and reading this series in order is definitely the way to go. I also very much enjoy Bess Crawford, and the first Ian Rutledge I read - this is a series I've meant to get back to. I enjoyed the detail in the first Suzanne Arruda's novel but found the heroine too perfect by half, and the spiritism made me uncomfortable. 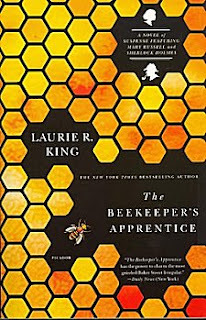 The Beekeeper's Apprentice was very good but somehow I just didn't get carried away by it. 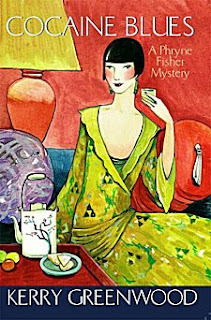 I've added Phryne Fisher to my TBR wish list, where she'll join Leaticia Talbot! I hope you enjoy both Phryne and Leaticia, Debbie! I have enjoyed several visits with ms. dobbs and her adventures...and Charles Todd's books as well, but not the others. Thanks for this comprehensive list and descriptions. I tried Maisie Dobbs and couldn't get into them. Historical crime fiction isn't my genre of choice, but I read two Mary Russell adventures and liked them. Laurie King's books are good, the more contemporary Kate Martinelli series and the Russell books. I am tempted by the Beverly Cleary series described here.